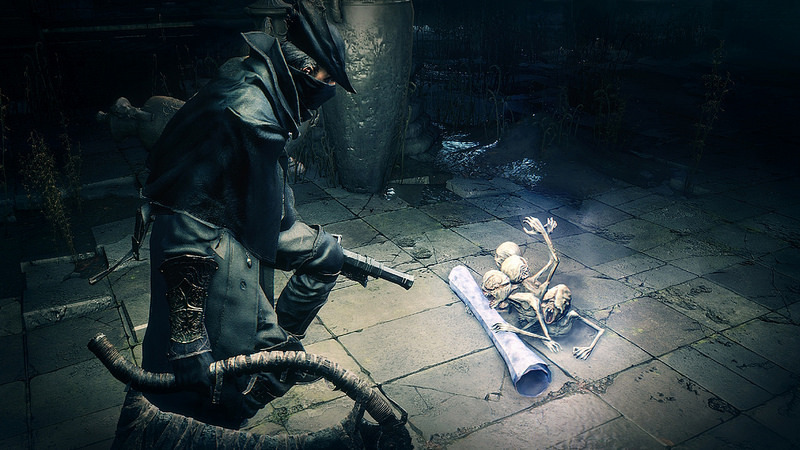 Bloodborne is still so new and there is a lot to discover. What I like is that FromSoftware didn’t just give us a full rundown of everything – it’s been up to the community to discover new mechanics and elements. The latest one might just kill you even more; the game can get even harder without going into New Game Plus. Madman’s Knowledge can boost your Insight, a stat that’s necessary for co-op. However, Insight doesn’t just affect your ability to shop from the messengers in the Hunter’s Dream or options to call a friend for a big boss battle. Insight can also change the difficulty. Now I definitely will think twice before using that Madman’s Knowledge. Insight seems to be a much deeper stat than previously thought. I wonder if those difficulty tiers also bring with them other changes – I see the Blood Echoes yield of enemies increases, but could this also affect boss battles, enemy spawning or trap mortality? One thing is for sure, I’m not going into the Chalice Dungeons with a high insight – that procedural generation might go into overdrive and become impossible. I wonder how long it will take for players to fully discover all there is to learn from the game. There appears to be a lot more than previously anticipated and the game is a glorious rabbit hole for fans to fall down.